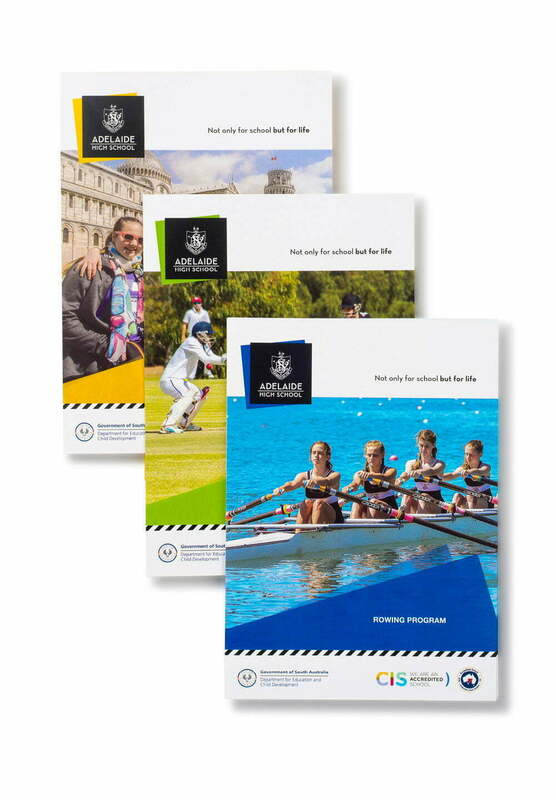 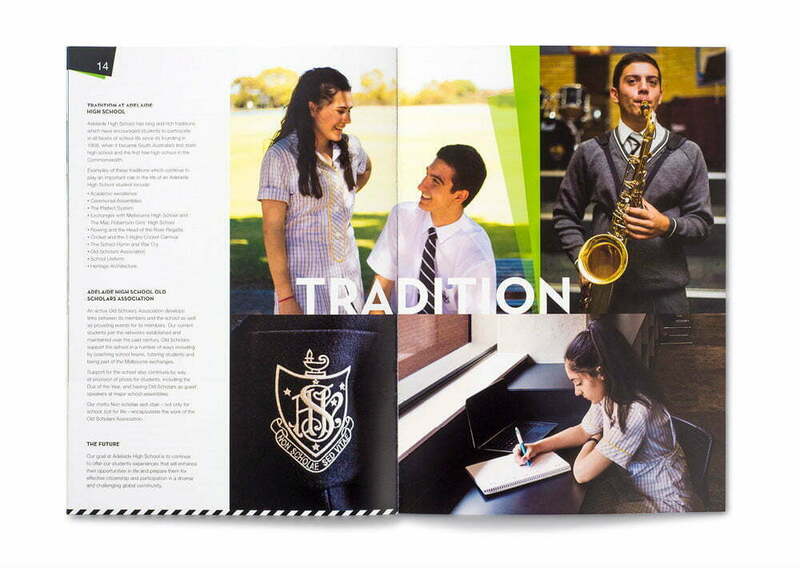 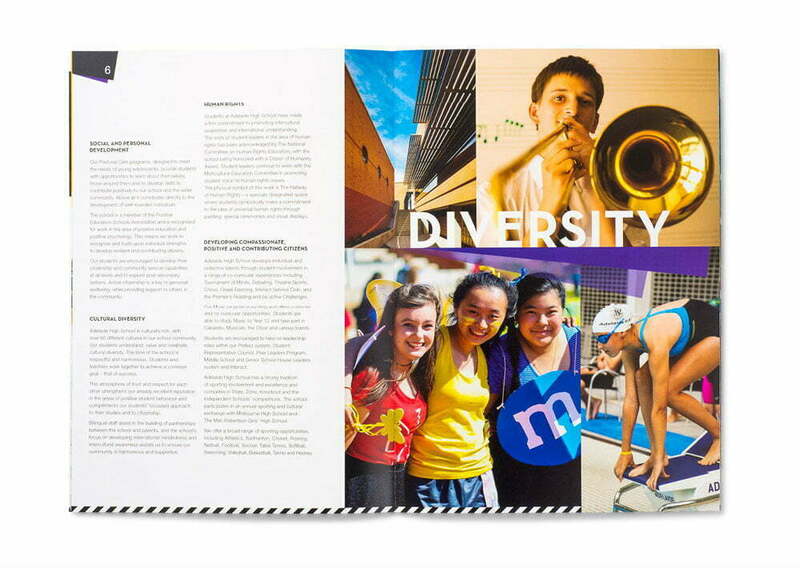 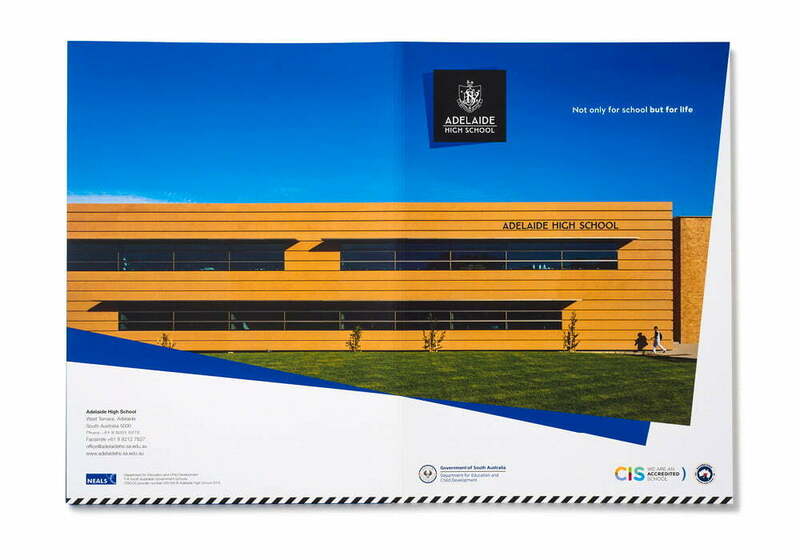 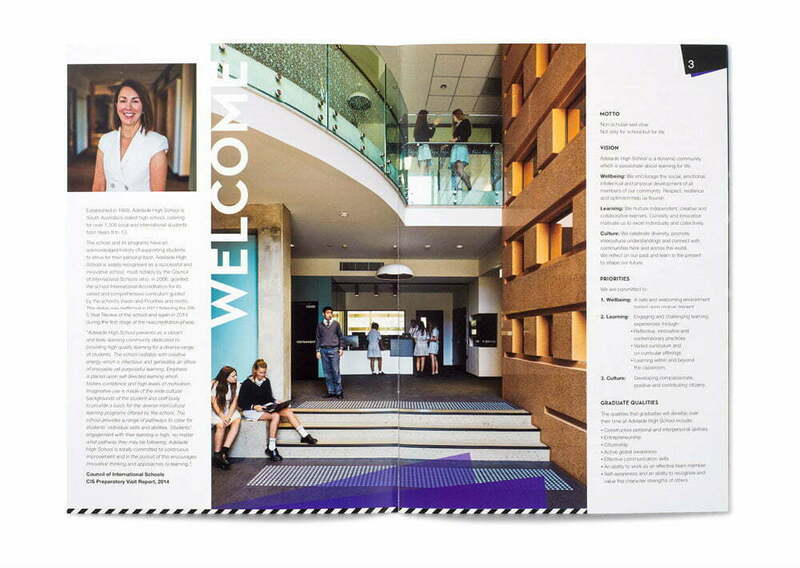 Adelaide High School were in need of a refresh of their existing identity. 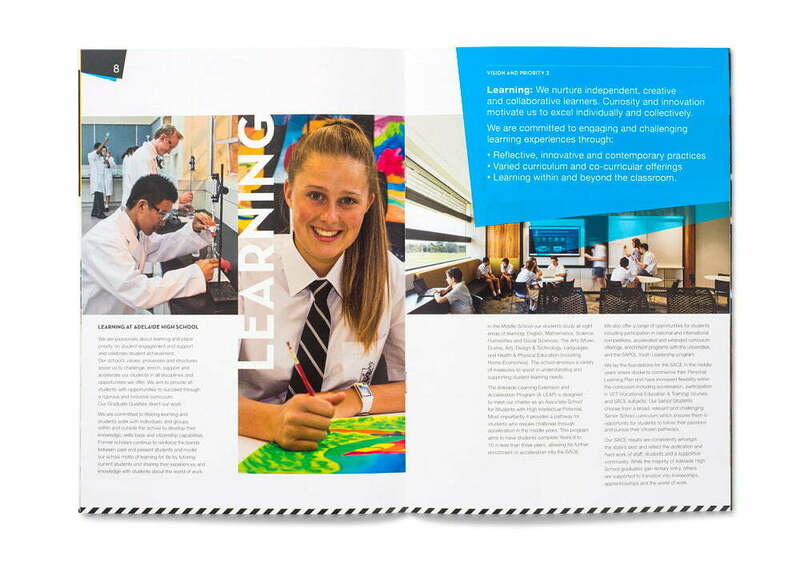 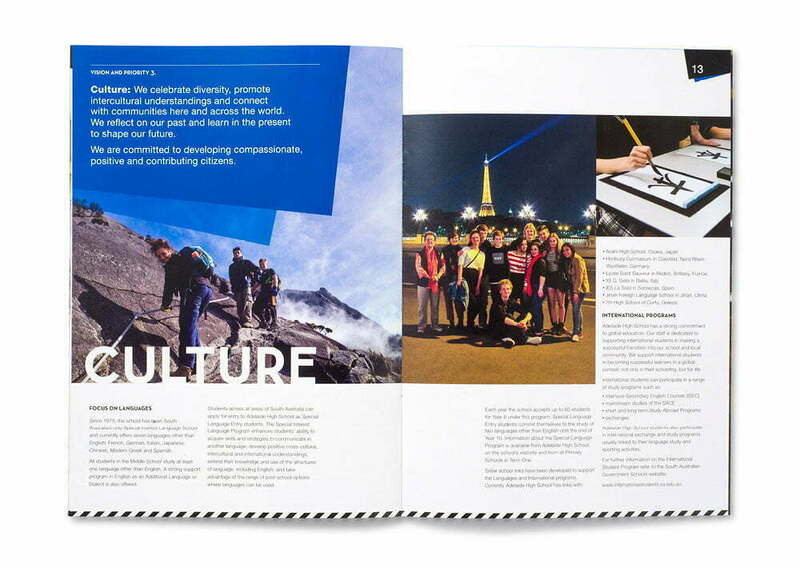 Toolbox were engaged to create a contemporary look and feel which utilises imagery of the students, the unique architecture of the school, a complimentary colour pallette and characteristics of the uniform. 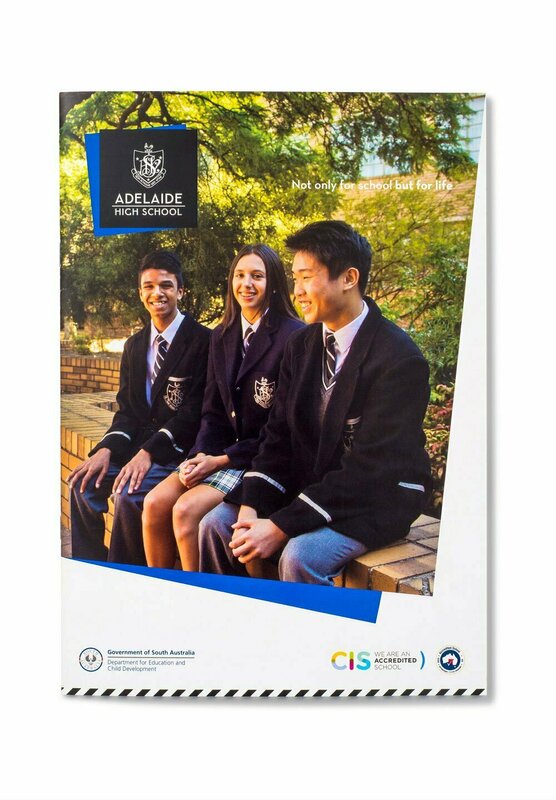 The new direction has been rolled out across a range of printed collateral including a prospectus, stationery items, folders, carry bags, curriculum handbooks, school yearbook and newsletters as well as banners and signs.